Going to a Cops and Robbers themed fancy dress party? This Ladies Fever Convict costume would be perfect! 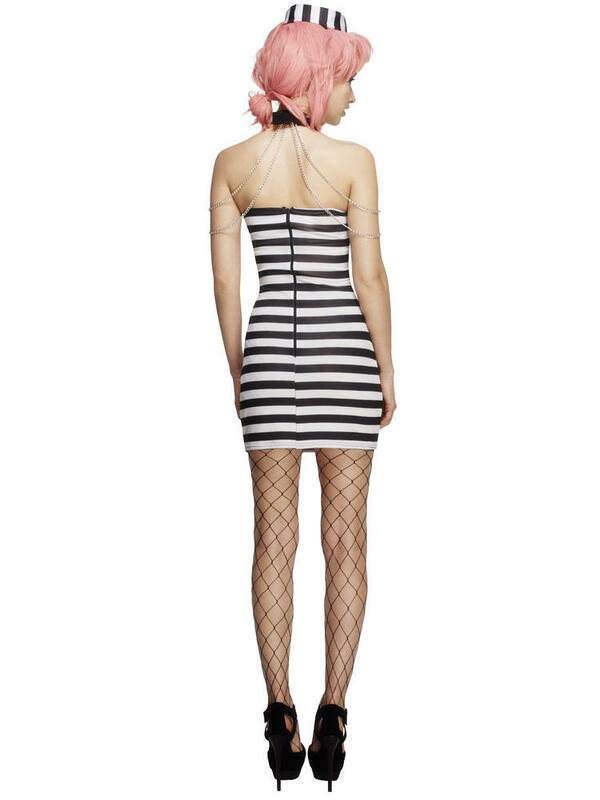 Includes a black and white striped dress which has choker style collar with chains attached. To complete the outfit is a matching black and white striped hat. The dress also fastens at the back with a zip.